Haunted Hotel: Eclipse is rated 4.3 out of 5 by 32. Rated 5 out of 5 by jewel_43 from Excellent!! I absolutely loved this game..it ticks all the boxes for me! The game was fairly long which is how I like them (especially when they are so enthralling as this one). The characters in the game (apart from the vampires, werewolves and ghosts) were fairly realistic and the graphics were great ... colours were just ideal without being too garish. There were actually so many twists and turns that I confess I had to use the hint button quite a bit to help me on the way....I would have been lost without that. I am so glad that I decided to go ahead and buy the game even though the demo was not overly impressive. This is the first game that I have bought by Elephant Games and if this one is anything to go by then the others should be just as good! Rated 5 out of 5 by EzgiMelody from Another Great Haunted Hotel ! Another Great Haunted Hotel ! Nice,fun and enjoyable game. Thank you Big Fish. Rated 5 out of 5 by pinkdivapam from This is a great game! I can't say enough about how delightful it was playing this game! Fun! Along with a good storyline, great graphics, bright colors, and the interaction of the story (the map made it really fun to use--no frustration in finding your way! ), there were actually HOG games! Some of the mini-games were a bit challenging, but I was obsessed with finishing it! Even though I used it only once, the Game Walkthrough is a nice feature. I've purchased other "HOG" games that have limited actual hidden object games in them. 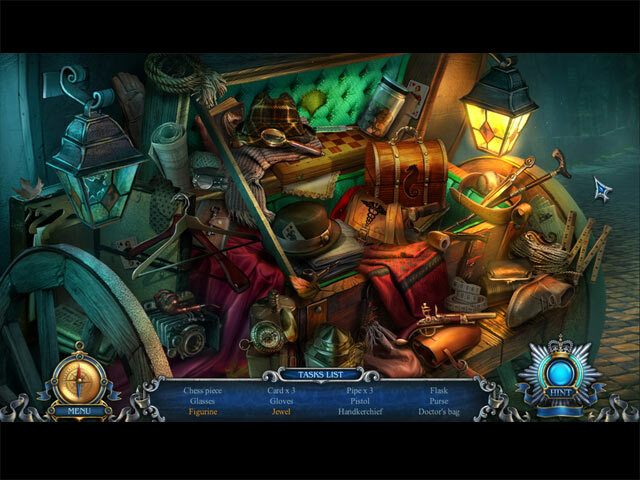 I like the interaction in most games, but I like the hidden object games the best. This one had it all! This is my favorite by far (so far!)! I'm anxious to start another Haunted Hotel. I do hope I enjoy them as much as this one! Rated 5 out of 5 by glitterfairy1 from eclipse loved the game even better it had a bonus chapter. great many puzzles. Rated 5 out of 5 by BooksandGameFan from Vampire, werewolfs, & ghosts, Oh My! I Loved this game. I played the whole game some time ago. The game itself was spooky but not ugly and decrepit, nor covered with bugs. It deals with my favorites vampires, werewolfs and ghosts! 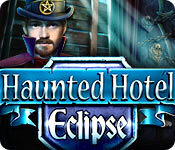 Haunted Hotel: Eclipse is a great example of what Elephant games does perfectly, programming mastery. Playing at the Casual level, the player can get very specific hints from the Hint button, such as "Give the hazelnuts to the animal in the backyard tree," to complete a task. That saves the player from searching the Strategy Guide or paging through a Walk through and most importantly it keeps me from having to keep clicking my mouse all over the place which causes great pain to my neck and shoulder Yay! The story is compelling. You are a detective. You and your Sherlock Holmes type partner James are asked to solve the mystery of a hotel which has served alternately as the headquarters of one of two mysterious societies. The groups battle every 13 years on Halloween during an eclipse, and this is the year! The story is great, and all the puzzles are fun. Naturally, this includes a good Journal and a Skip button. I would recommend this highly at full price but with today's 2.99 special it's more then worthy it's a steal! Rated 5 out of 5 by kongmom60 from A Truly Surprise Ending Great story line that keeps you on the edge of your seat. Who's killing the occupants of the hotel and why? Great game! Rated 5 out of 5 by MAG57 from A good game This was a long game, finally get what we pay for. 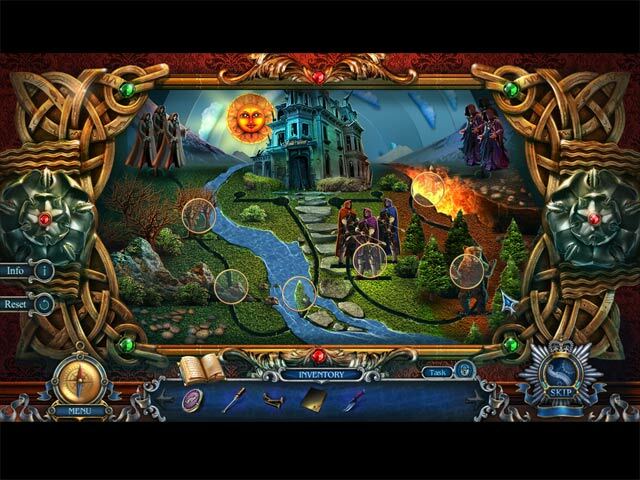 A nice mix of mini games and hidden object games. the H.O. games were fun, not like the newer varieties. I had a little trouble remembering where all the rooms were, so I made my own little map. I don't like games with maps in general, I enjoy a game better that I have to move around in. I had to go to the walkthrough for a little help now and then, that is okay. Rated 5 out of 5 by Mickey107 from Terrific Game I liked everything about this game. There were not many HOS which is great with me. But the ones there are are clear and rarely require a hint. The mini games are fun and I had to skip very few - just ones I'm not fond of - like unwind the cords so none overlap - really tired of this one! The storyline was excellent and followed along well. Although there is quite of bit of back and forth, it was not a problem because the morphing map got you to the right place. Was very disappointed when I reached the end! Rated 5 out of 5 by tutortime from Loved it! What a game, beautiful scenes and graphic colors. The game went on and on, loved it. It really played like a CC edition. 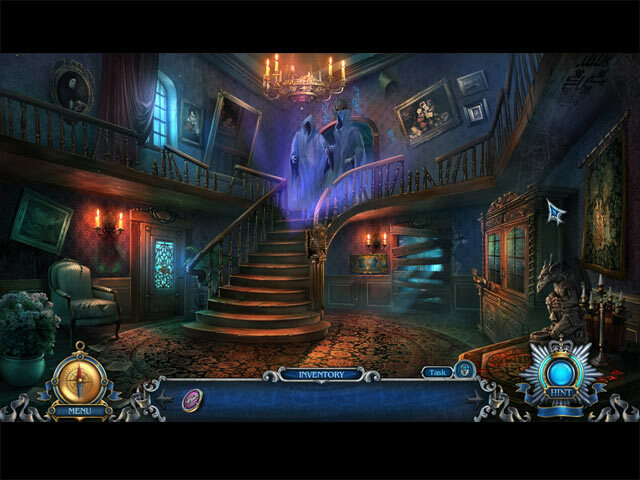 Rated 5 out of 5 by denniann2 from another great haunted hotel game i enjoyed this one as much as the other ones. played in casual, low sound. hints/skips charge quickly. it has a diary and an interactive map. the map shows where you are and the places that you need to be for your next task. sometimes you need to check for the arrows on the map. i missed a few and then realized that i just needed to follow them. the map is needed because of a lot of back and forth. i had to cheat a few times and go to the walkthrough. i couldn't figure out where to go even though the hint told me. great hint system. sequel....probably.